Getting your teeth straightened isn’t something just for teenagers anymore. Many adults just like you who have felt uncomfortable with their smiles now have straight, healthy teeth. You can, too! If you weren’t able to get your teeth straightened when you were younger, now is the time to find out more about Invisalign-the clear alternative to metal braces and wires. We can’t tell you exactly how long your treatment will take. But, on average, Invisalign treatment takes about one year. The cost of treatment is similar in cost to traditional braces. In addition, if you have orthodontic coverage, Invisalign is often covered to the same extent as traditional braces. Dr. Donnelly also offers a variety of affordable payment plans. Our office will be happy to work with you on all of the insurance and financial details. 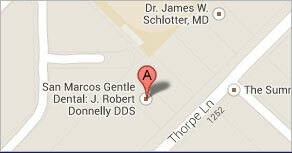 Dr. Donnelly even offers free Invisalign consultations for all interested patients. 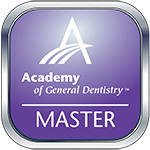 Be one of the many patients Dr. Donnelly has treated who are enjoying their new smiles. Call Dr. Donnelly’s office today at 512-396-5225 for a free consultation. Don’t hold back-straight teeth are now within your reach.